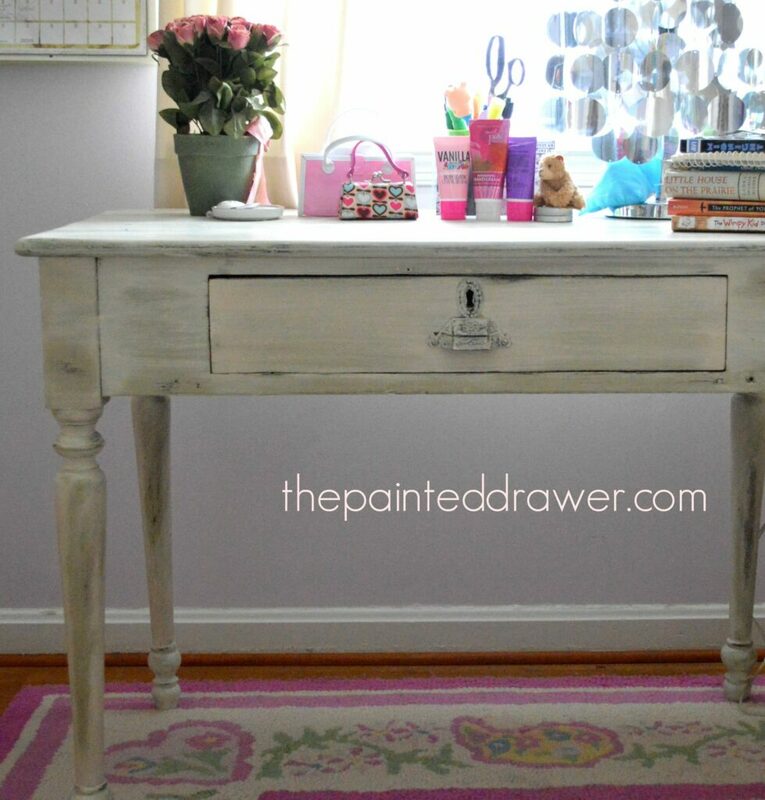 This post is dedicated to the poor, under appreciated Annie Sloan chalk paint color, Versailles. It just doesn’t seem to ever get any notice and languishes in the background behind the oh, so popular French Linen and Paris Grey. 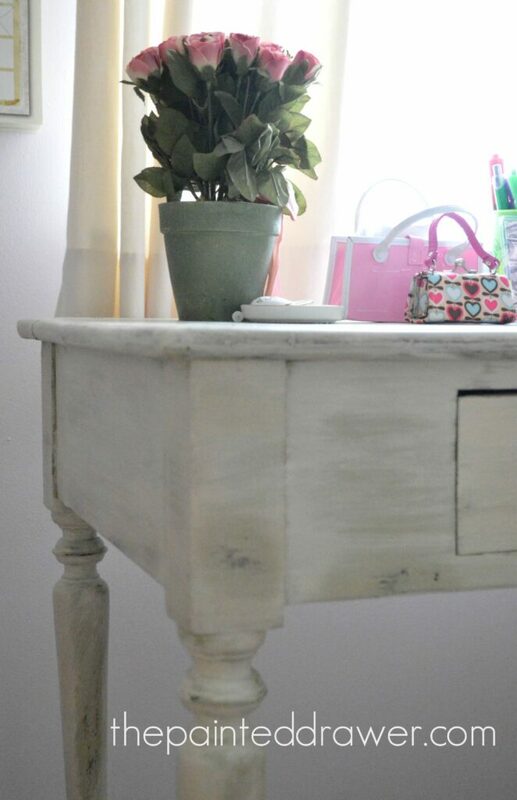 Versailles is one of my favorite colors from Annie Sloan and I used it on my Sophie’s desk. 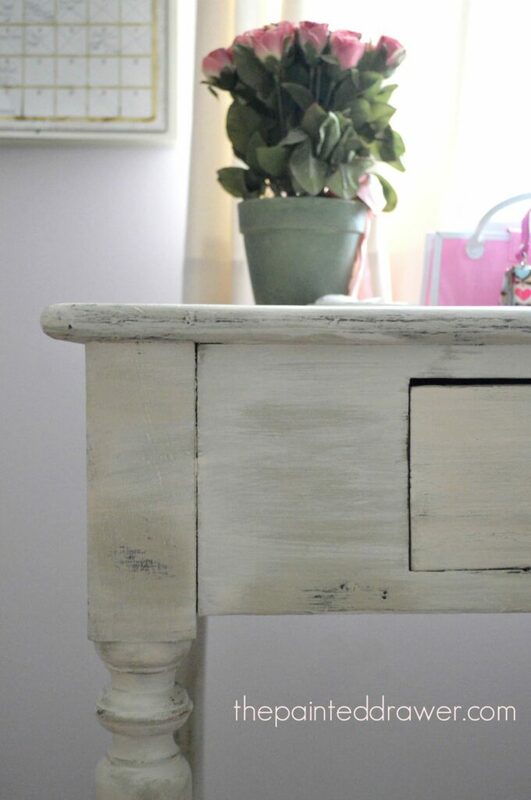 I applied Versailles with a wash of Old White and created a lovely little desk for my little girl. I also love to use Versailles as a wash over blue. 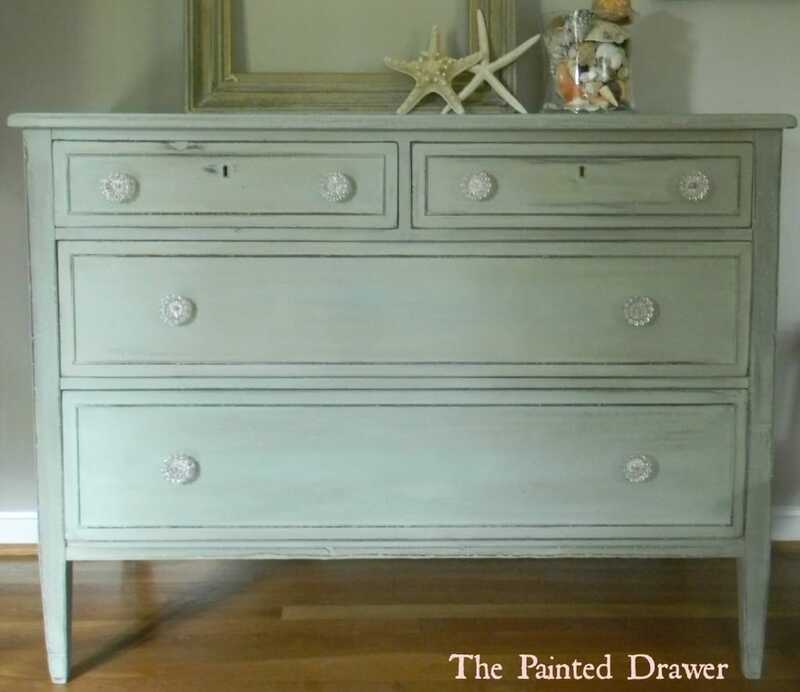 This is how I created the beach glass look of the dresser below. Versailles is also in my bedroom. 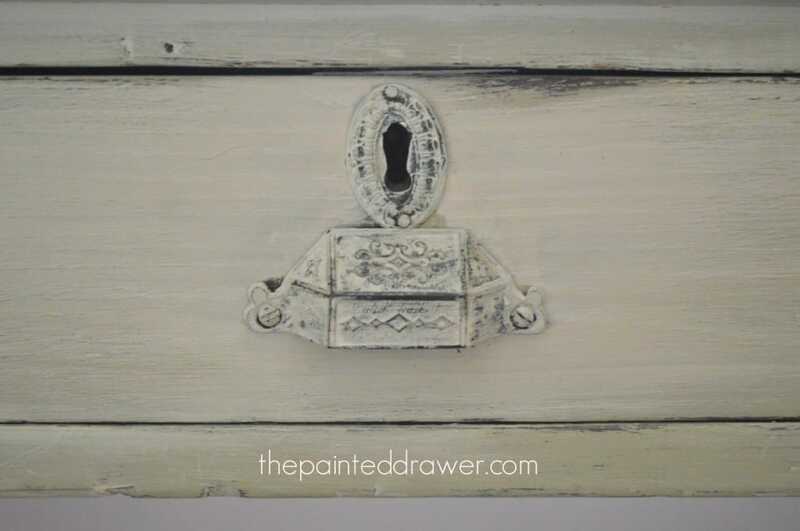 I used it to paint my cedar chest. Just had to give this color a boost! Thanks, Tina Marie! Great to hear from you! I have that exact desk Suzanne. That’s a sofa and a desk that we both have – we obviously have the same taste! Lov’n it in Versailles. 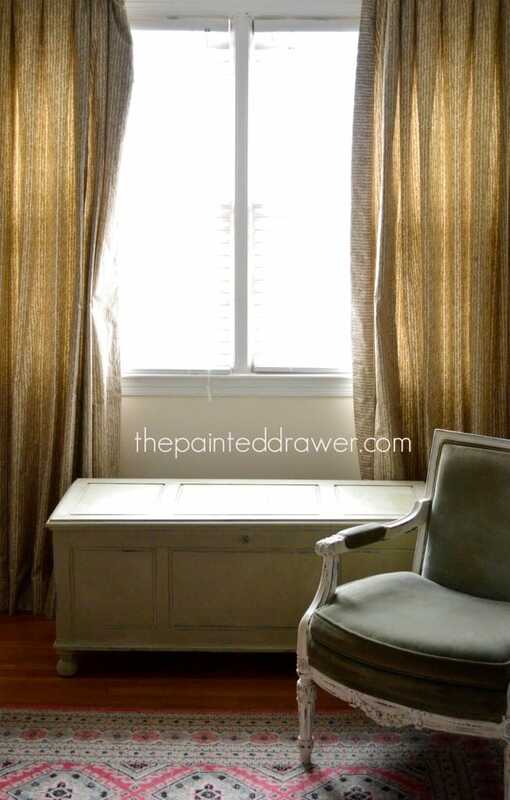 Last year I helped a client paint all her kitchen cabinets in Versailles and they look beautiful. It’s a gorgeous color. That is so funny! I found that a few years ago and grabbed it! We do have the same taste lol and btw, I really love your bedroom walls with the stencil. I’m redoing my room soon and am keeping that in mind (I hope you don’t mind!) just love it. Suzanne – I do agree Versailles is a very unappreciated color, just like Cream. However, you have managed to put it in the spotlight. I love the result of Versailles as a wash over blue. Great post. Thanks, Mary! I agree with Cream. I think people think it is old fashioned but it’s a lovely color. Especially if you are looking for a cream with a yellow base. I love it as a base underneath a wash. My favorite is Old Ochre. It is a great cream without quite the amount of yellow. Cheers! I must say I’ve never used Versailles, but that may be have to change after reading this post! 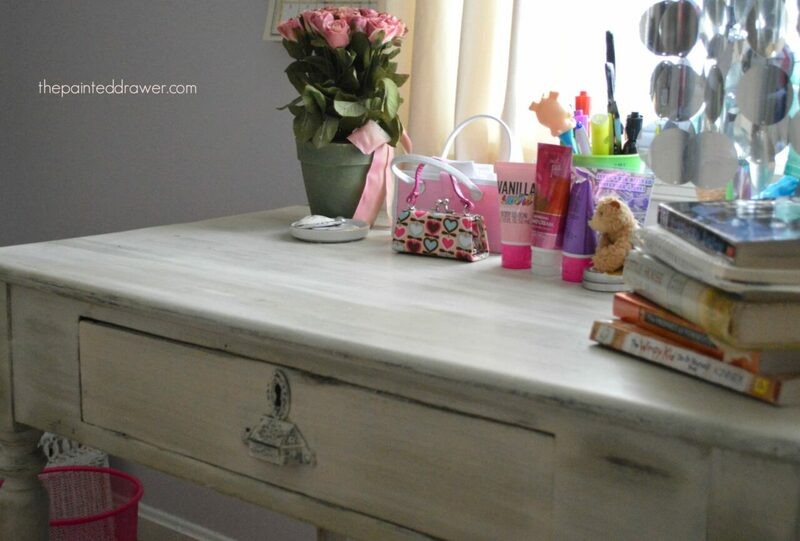 Love, love, love what you did with Sophie’s desk! And her bedroom is so pretty! Lucky young lady…. Hi Robin! So glad to hear from you! Sophie is well pleased with the compliment on her room. She was a bit horrified that I took a pic with her laundry on her unmade bed 🙂 but I was in a hurry and the room was in a “real” state lol! You should def try Versailles. I really love it. I love Versailles, I think it’s such an elegant colour. Your beach glass dresser is gorgeous! If you don’t mind me asking what colour blue did you use underneath the wash? Hi Jules, I used a custom blue but it was mostly Duck Egg. Cheers!